‘It is not a cliché to say that we stand on the shoulders of giants’. 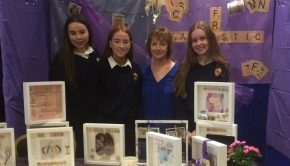 The education we receive at Castlerea Community School is born out of the vision of Blessed Catherine McAuley (Foundress of the Sisters of Mercy), whose life was inspired by the compassion of Jesus for the poor and hungry of her time. Pope John Paul, in his encyclical Sollicitudo rei socialis said ‘For Catholics, their option of love must embrace the immense numbers of the hungry’. On Saturday, March 9th the Senior Public Speaking team from Castlerea Community School were crowned winners of the fifth annual Knights of St Columbanus Public Speaking Competition 2018-19. 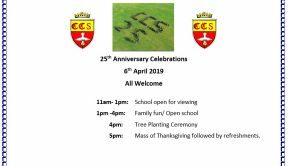 This is a national youth faith initiative supported by the Knights of St Columbanus, an order of Catholic laymen founded in 1915 by Canon James O’Neill. The team chose from eighteen topics offered under five sections. The one selected by the team was from the section entitled: ‘Living the Christian Life’ and was in response to ‘If in so many parts of the world there are children who have nothing to eat. That’s not news. It seems normal. It cannot be this way.’ – Pope Francis speaking at Audience, June 2013. 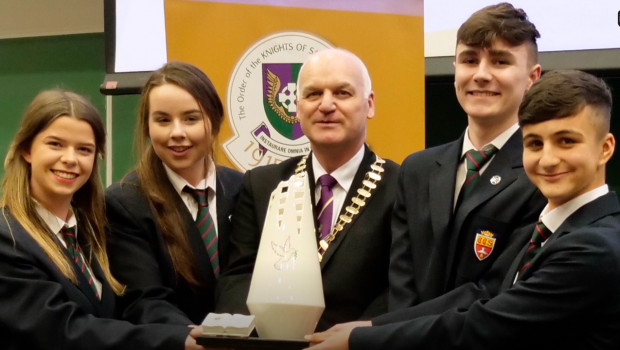 Preparations for the competition began in December and the competition consisted of rounds at Diocesan level followed by Provincial level, with two or three teams progressing to the All-Ireland Final from each province. 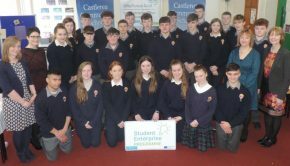 The team from Castlerea won first place at the Diocesan Final held at Abbey Community College, Boyle on February 14th and progressed from the Connacht Final held in Knock House Hotel on February 28th. The successful teams at Diocesan, Provincial and All-Ireland level received trophies, cheques for their school on each occasion, while students on the winning teams received vouchers to the value of €50. Each team was comprised of three students who delivered their presentations to the judges and the assembled audience. The total length of the team presentation was between eleven and thirteen minutes. When the team presentation concluded, an unseen question was posed. The response was to last no less than 45 seconds and no longer than two minutes. Each team was expected to address their topic in a balanced way. Students were encouraged to support their arguments with references from the Old and New Testament, church documents, church teaching and papal encyclicals. The team members came from the senior year groups and the Castlerea CS team comprised one Fifth Year and two Transition Year students. The running order was decided on the day of the final by lottery and the team from Castlerea was drawn to present first. The Castlerea CS team consisted of Aoibhe D’Arcy, Maureen Quinn, Nathan Green and Ronan Tumbek, with Aoibhe as Captain starting the day’s proceedings with an eloquent introduction to the issue of World Hunger. Maureen followed this with a passionate discussion pertaining to real-world examples of hardship and Nathan presented a powerful conclusion detailing initiatives that have been put in place to address the issue both in Ireland and internationally. All arguments were supported by the students’ lived faith experiences and their faith formation within family, parish and school. Their central thesis was reinforced throughout by church teaching, encyclicals and Biblical references. 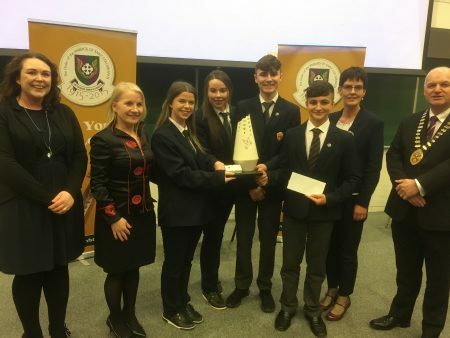 The standard of competition at the All-Ireland final was commended by both the adjudicators and Co-ordinator of the competition, Mr Seamus McDonald (Knight). Two teams were awarded the runner-up prize; St Joseph’s College, Garbally, Ballinasloe and Killina Presentation Secondary School, Tullamore. On announcing Castlerea Community School as winners of the All-Ireland competition, they were highly commended for focusing on their active faith lives as well as their in-depth knowledge of scripture and church teaching. Their presentation of the topic was outstanding, with balance, depth and excellent teamwork evident throughout. On the announcement of the winning team, there were jubilant scenes among the assembled group from Castlerea CS including the team, their mentors, families and friends and other members of the school community who travelled to support the team on this momentous occasion. The immense achievement of this team was noted, as they are the first winners of the Knights of St Columbanus Public Speaking Competition from Connacht and the first school from the Community School sector to win at this level. Theresa Kelly & Margaret Larkin (English Department), Aoibhe D’Arcy (Captain), Maureen Quinn, Nathan Green, Ronan Tumbek, Mary Colleary (School Chaplain), Gerald Harbinson, Supreme Knight of the Order of the Knights of St Columbanus .